CCOT has contracted an outside Maker to produce a universal rear FJ40 door hinge that is not handed and will fit right or left sides. 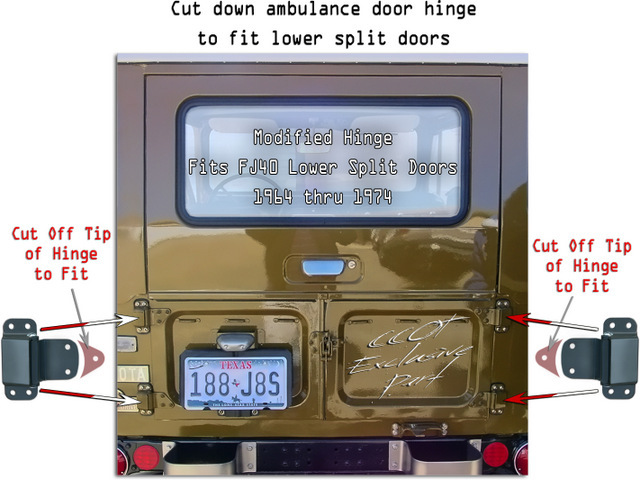 This replacement hinge was originally made to fit the upper FJ40 ambulance door hinge, then we discovered that if you cut off the third screw hole and squared the end that it would fit the lower rear split doors of the early model FJ40 ('64 to '74) beautifully. Hinge is gray powder coated. Hinges are sold individually. CCOT exclusive product. 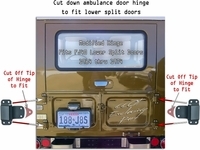 CCOT has contracted an outside Maker to produce a universal lower FJ40 ambulance door hinge that is not handed and will fit right or left sides. Hinge fits 40 Series Land Cruisers 1/75-1984. Hinge is gray powder coated and ready to paint. Sold individually. 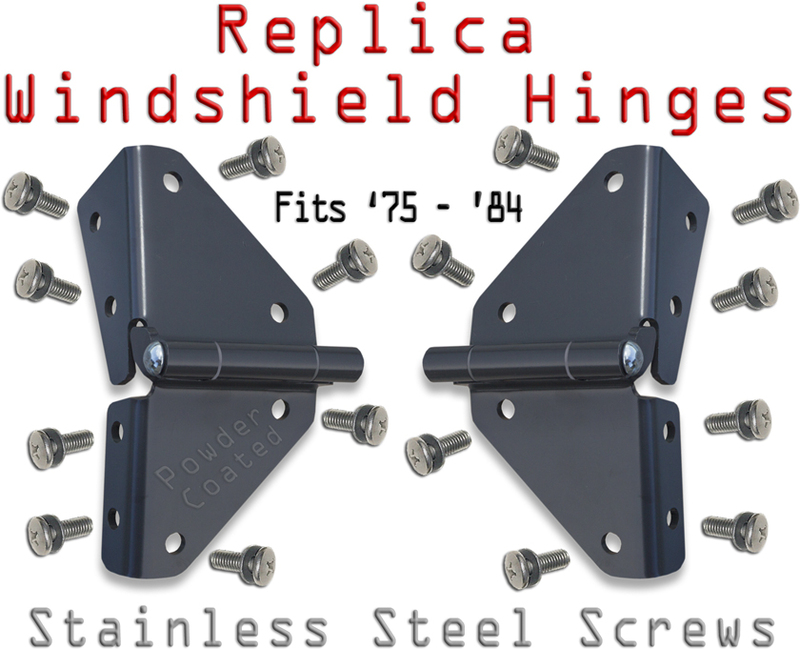 CCOT has contracted an outside Maker to produce a universal lower FJ40 windshield hinge. 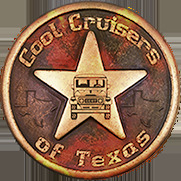 Hinges fit lower windshield wiper motor years, 1/’75 to 10/’84 Series 40/45 Land Cruisers. Sold in pairs, complete with stainless steel mounting screws and powder coated grey. Short screws fit outside holes and long screws fit front facing holes. Installation Note: The windshield frame must be square with the lower cowl panel for windshield hinge bolt holes to match. If the windshield frame is not sitting down square on the cowl panel, then the lower and upper hinge holes will be off. 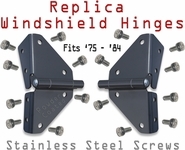 Remove all hinge screws (upper & lower hinge screws) and loosen the two interior dash panel knobs that hold the windshield in the upright position. Your objective is to loosen all windshield attachment points so that you can square the windshield frame to the lower cowl panel. Next, get all 8 screws started (short screws fit outside holes and long screws fit front facing holes) on both hinges and tighten them (evenly) a couple of threads at a time. What you're trying to do is square the windshield frame with the cowl as you slowly tighten the screws. If the windshield frame is not square with the cowl, then the hinge holes will not match up.